900,00 people and we talked to just a few. 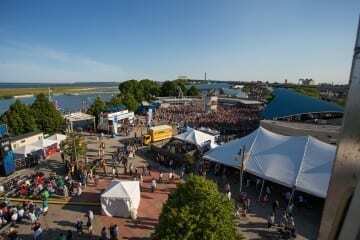 While there were plenty of activities to keep anyone busy at Summerfest, we decided to take on the act of people-watching — and also people-asking. For a few days, we wandered around the Big Gig to ask attendees what makes Summerfest great, what brought them to the World’s Largest Music Festival and what keeps them coming back. Next ArticleEver Seen the Port Washington Lighthouse?